The attorneys at the Rochlin Law Firm have successfully represented hundreds of people injured in a car accident cases over the last 25 years and we receive new auto accident calls every day. Car crashes have long been frequent across the United States. In 2009, almost 34,000 Americans were killed and over 2.1 million were injured in motor vehicle collisions, and auto accidents in Minnesota occur every day that our top lawyers help people with in Minneapolis, St. Paul, and throughout the state. 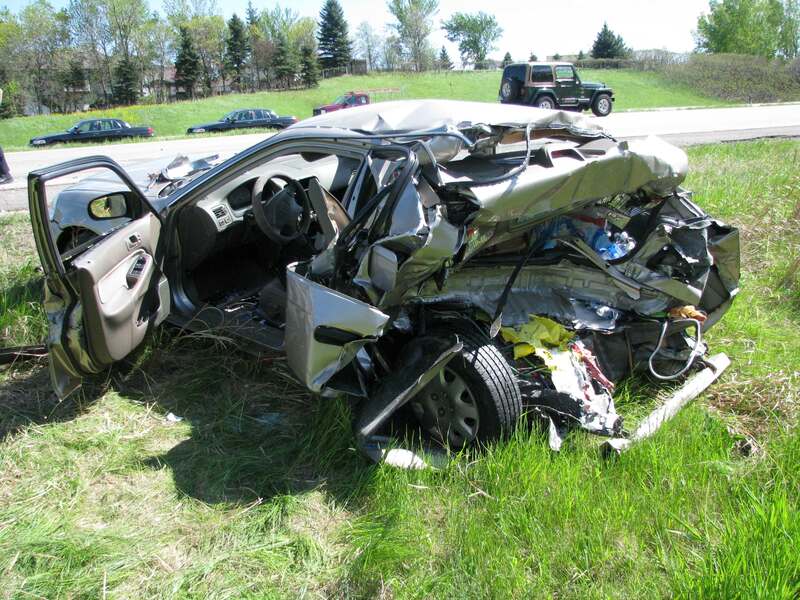 The top MN car accident lawyers at our firm have handled vehicle crash cases so severe that our client had to be immediately taken by helicopter or ambulance to the hospital. However, sometimes the auto accident injury is not apparent at the scene of the crash, and each lawyer at our office has handled many cases where injuries that appear minor at first sometimes become a serious and permanent problem. This can especially be true with brain injury cases. The most frequent injury from a car accident is neck and back pain from whiplash type movement. These spine injuries can sometimes heal within a few weeks on their own. If the injury is somewhat more serious you may need temporary treatment from a chiropractor or physical therapist. In many of the car accident cases our lawyers handle, the injuries are even more serious and even more treatment is needed with injections or possibly surgery. It is almost impossible to know shortly after a crash whether your injury is temporary or how it will progress, which is why we suggest you call and talk to an experienced Minnesota car accident lawyer sooner rather than later. An auto accident lawyer from our firm will prepare your claim and be prepared in case your injury turns out to be more serious. Our primary focus is to get you fair and complete compensation for your injuries. See also, How To Get Medical Bill Paid. If you have been injured in an auto accident, you have a right to certain auto insurance benefits including payment of medical bills and lost wages, which our lawyers will fully explain to you. You are even entitled to some benefits if you caused the accident. See also, What are Minnesota “No-Fault” Benefits? If the car crash was caused by the negligence of someone else, you may also be entitled to additional compensation for your pain and suffering. See also, Do I have a claim against the other driver for my injuries? To determine which driver was negligent in causing a collision, a car accident lawyer often has to conduct an investigation into the circumstances of the collision. Sometimes what is written on the accident report is not accurate as to what happened. Our top car crash lawyers have won cases even when the responding police officer initially attributed 100% fault for the collision to our client’s car. Investigations can be particularly important in semi-trailer cases, pedestrian cases, motorcycle cases, and drunk driving cases. Investigation can also be key in intersection crashes where someone ran a red light causing the car accident, was speeding, or fails to stop for a stop sign. If you have been in an auto collision and are injured, the sooner you speak with a top car accident attorney, the sooner we can begin our investigation to prove or cement your case. If you have been injured in a car accident, call our lawyers for a free consultation. Pam Rochlin and David Rochlin are Minnesota personal injury lawyers with more than 25 years of experience handling hundreds of car accident injury cases. We will discuss your case with you, answer your questions, and explain your rights. A car accident lawyer will be happy to meet with you at our office or your home for a free consultation, or hospitals like HCMC, Abbott Northwestern, North Memorial, Regions and others. We have offices where you we can meet with you to discuss your car accident injury case at in Minneapolis MN, St. Louis Park, Woodbury, and Edina. Our lawyers also frequently meet with people to discuss their car accident case at their homes in St. Paul MN, Chanhassen, Chaska, Eden Prairie, Maple Grove, Rogers, Brooklyn Park, Bloomington, Richfield, Apple Valley, Roseville, Maplewood, and other surrounding cities in Minnesota. There is no obligation on your part, and we always only charge a percentage of what we collect for you.